Lesson 11 – Detailing – Below are the videos included in this lesson. Click on video to watch. Jacob and Jordan Smith are demonstrating how to hand wash a car. This is a basic process, but many cars are scratched due to improper washing. 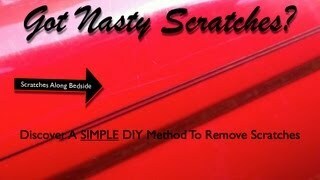 Here Are A Few Step To Help Prevent Scratching and Damaging The Paint: 1. Always wash the wash mitt and bucket before washing the car. 2. Rinse the car first to remove much of the dirt. 3. Wash jambs first to prevent smearing grime on the clean surface. And use a different mitt and bucket for this process. 4. Some people prefer to clean the interior last, but if you do this first, you will not risk getting dirt landing on the clean paint surface. 6. Start and top and work towards the bottom. 7. Use low pressure during you final rinse stage. This will allow the water to bead up and roll of resulting in less drying. 8. Dry the car. This is just a few basic steps, but will prevent you from dragging dirt on the paint surface with our mitt causing scratched or swirl marks in the paint finish. 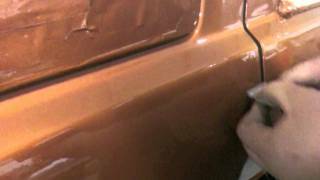 In this video tutorial I am demonstrating how to remove overspray on a car using a clay bar. 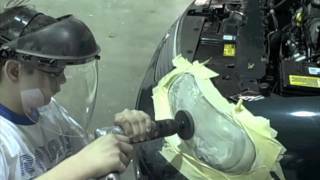 This is useful in a body shop is overspray gets on painted surface or the glass when painting a car. 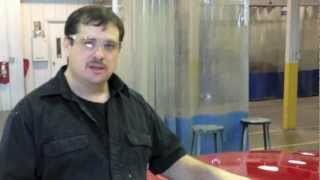 DIY Clay Bar Projects - How to use a Meguiars clay bar when detailing a car to produce a show car finish. A clay bar can help produce a slick glass like show car paint finish, but there are things they don\'t do. 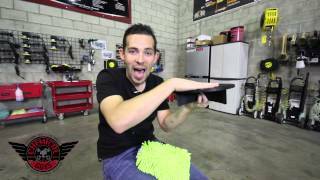 In this video, I am going to discuss what clay bars do and what they don\'t do well. 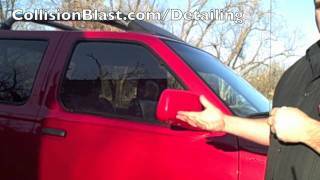 In this video Donnie and Jess explain what not to do when using a clay bar on your car paint surface. 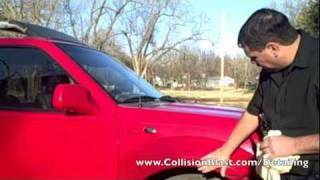 They also do a quick demonstration of how to use a clay bar on their Nissan truck. Demonstrates how to level a run using a razor blade. Once leveled, sanding and buffing will correct the run and having it look like there was never a run there. 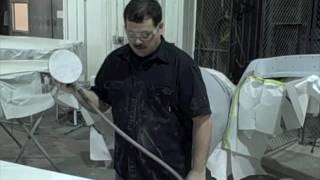 Learn about the new 3M denibbing system for polishing dirt spots in a paint job. 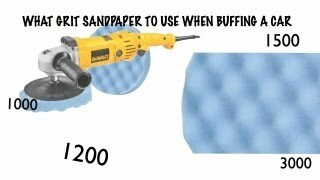 This video demonstrates how to sand the painted surface before buffing. You may have heard of this as cut and polish. The purpose of polishing paint is to remove imperfections after painting. If there is dirt, runs, orange peel, dry spray, etc. the surface needs to be sanded level. Then we can move to Part 2, which is polishing the surface to bring the depth and luster back. 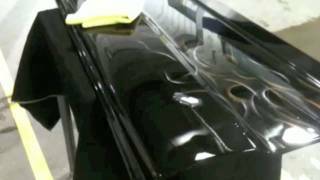 This video demonstrates how to use the new 3M polishes for buffing a car finish. In part 1 we sanded the surface to be buffed, in this video we will go through the steps to polish the paint back to a luster shinny paint job. 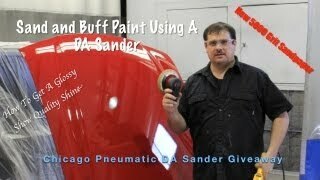 Learn how to make glossy paint using a DA sander and buffing. This is the process of getting that show quality glassy gloss paint finish. Many times you will need to sand runs, orange peel, dirt or many other imperfection from a painted surface. 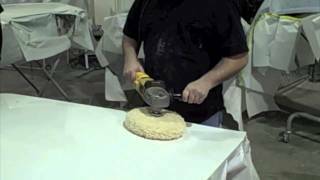 This is a quick tutorial that explains what grit of sandpaper to use when color sanding and buffing a paint surface. In this video tutorial, we are demonstrating a simple DIY method for removing scratches on you paint finish. We are using the 3M Scratch removal system. The scratch does not show up well on this video, but it done an excellent job of removing the scratch.